After Alec Baldwin claimed that he hates being chased by the paparazzi, Nicolas Cage claims that he doesn’t like being famous. So, apparently being famous is harder than what we imagine. At least, this is what Nicolas Cage recently shared. The star said that he has had enough of being famous. These new statements were made by Nicolas Cage at the SXSW festival in Austin, on Monday. Cage claimed that he started acting just because he saw James Dean performing and he wanted to be like him. “I saw him in Rebel Without a Cause, East of Eden. Nothing affected — no rock song, no classical music — the way Dean affected me in Eden. It blew my mind. 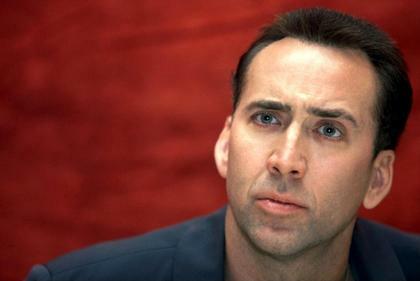 I was like, ‘That’s what I want to do,’” Nicolas Cage claimed. The same problem was pointed out by Alec Baldwin, who previously said that since smartphones come with great cameras, everyone is trying to take a picture of them each time when they go out, taking photos of their families or children and then posting them on social media pages. This is something extremely bothering, Baldwin explained. Well, Nicolas Cage went on to say that the things actors do in their personal lives should not concern the public. He pointed out that he found in a review for one of his movies that the author had written how many homes he bought or sold, which is not relevant for his work. Cage claims that it is unfair that movie critics mention the personal problems of an actor in the review of one of his movies. Such personal details are just not relevant, he said. “In my opinion, I don’t want to see personal aspects of someone’s life eclipse the work itself,” Cage explained. It seems that what the actor wants is personal life to remain private, while fans should only know details regarding work projects and professional life.